Linus Torvalds ended the Linux 4.21 merge window on Sunday evening and decided to go ahead and rename it to Linux 5.0. Linux 5.0-rc1 is now available to begin the testing process for this next kernel release that will officially debut around the end of February or early March. A short time ago I posted our Linux 5.0 feature overview that covers the major highlights of this new kernel release. See that two-page article for all of the details but some of the highlights include: AMD FreeSync, Raspberry Pi Touchscreen driver, a new console font for HiDPI/retina displays, initial open-source NVIDIA RTX Turing support with Nouveau, Adiantum data encryption support, Logitech high resolution scrolling support, I3C subsystem, and a lot of other new hardware support. The decision to jump over to Linux 5.0 from Linux 4.21 was decided by Linus Torvalds with the 4.x kernel releases getting high, similar to the arbitrary move of re-branding Linux 3.20 to Linux 4.0. The Linux 5.0-rc1 codename remains the same as Linux 4.20, the Shy Crocodile. As of writing this article, Linus Torvalds has yet to issue any formal commentary on the Linux kernel mailing list about his thoughts on Linux 5.0-rc1 and the now passed Linux “4.21” merge window. Given the release timing, Linux 5.0 is likely what we’ll end up seeing in the spring distribution releases with Ubuntu 19.04, Fedora 30, and of course the rolling releases. 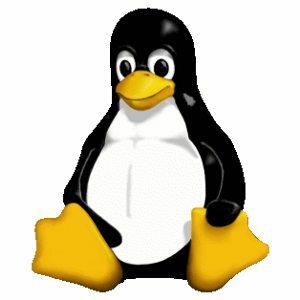 For those not using Git, the Linux 5.0-rc1 source can be downloaded from Kernel.org. Our Linux 5.0 kernel benchmarking process will begin in the days ahead. Update: Linus Torvalds’ brief RC1 message is now available. “The numbering change is not indicative of anything special…Make up your own reason for why it’s 5.0.